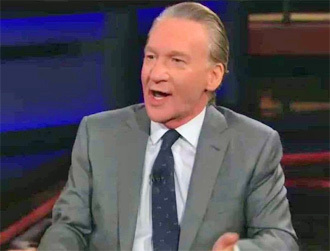 Opinion: The man-child Bill Maher is at it again with yet another joke on his tacky HBO show many people are calling racist … but this time he said it right to a black congressman’s face. 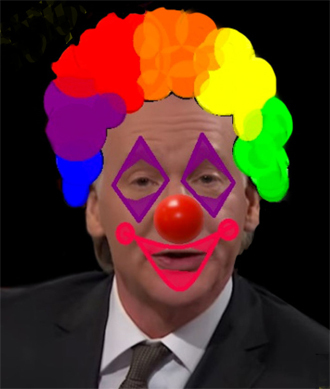 It’s okay his friends may say, because the black man is an elected Republican and Bill Maher is a dedicated leftist pandering Hollywood hack. 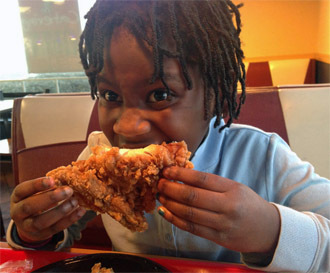 It got some laughs, but then Bill added … “Wow, by the Popeyes chicken.” TMZ reports that neither the audience nor Hurd seemed to really react to the comment, but it’s getting a lot of backlash online. Of course, this isn’t a first for Maher — in June 2017 he dropped the n-word on his show while making a joke … and later apologized. So far, no sorry from Bill for this joke. To view the clip from TMZ click here. This entry was posted in Tulsa Speaks on February 3, 2019 by admin.